If you have been following my work at all or if you are brand new to this website, you will quickly figure out that Wigglebug Photography specializes in Maternity, Newborn, and Children's photography. However, I have expanded to include logo, branding, and website services. I have always been interested in design. In fact during my senior year of high school I was pretty sure I wanted to go into graphic design. I was applying to colleges when I met a man who was very negative about the lack of creativity of graphic design artists. He scared me away from going into that field! Crazy how ONE comment can change the course of your life! Anyway, that is a whole different topic. Today I want to introduce you to my first commercial logo, branding, and website design project. This business could not be any different from my own. This business deals with changing the oil in cars and other car care services. I don't think you could get any further away from newborn photography !! I did however, drive to their location to take photos. It was interesting to apply my knowledge of photography to such a different topic. I would love for you to check it out! and of course I welcome any feedback you might have. 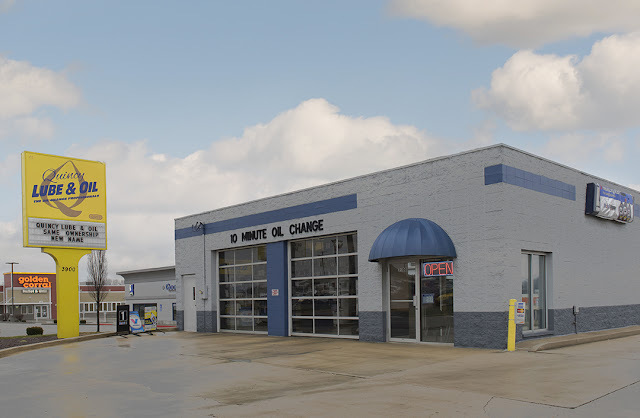 Quincy Lube & Oil offers the best oil change service in Quincy IL. They recently changed names. Formerly known as Lube Pros of Quincy. The owners chose to not renew their franchise agreement and therefore needed a logo and all new branding. This has been a unique challenge for me. I hope you take a second to view the website and if you are in Quincy, IL or the surrounding area please stop by and tell them Wigglebug sent you! 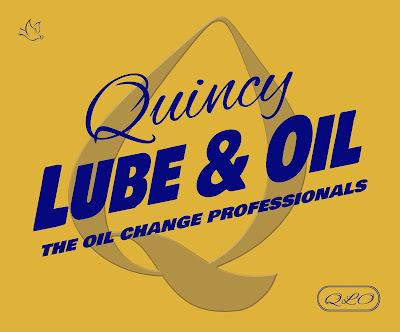 You can also like Quincy Lube & Oil on facebook. You can find coupons on facebook as well as on the website.